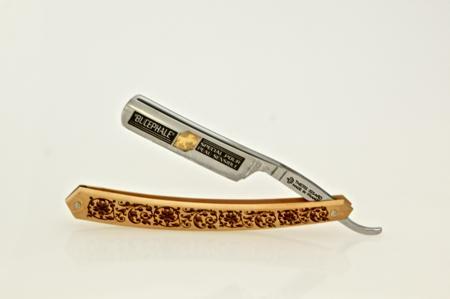 This first-class Boxwood Handle Bucephale Straight Razor by Thiers-Issard is an eye-catching blade garnished with an intricate design made out of mirror scale material. Available at MiN New York. This entry was posted in Razors. Bookmark the permalink.